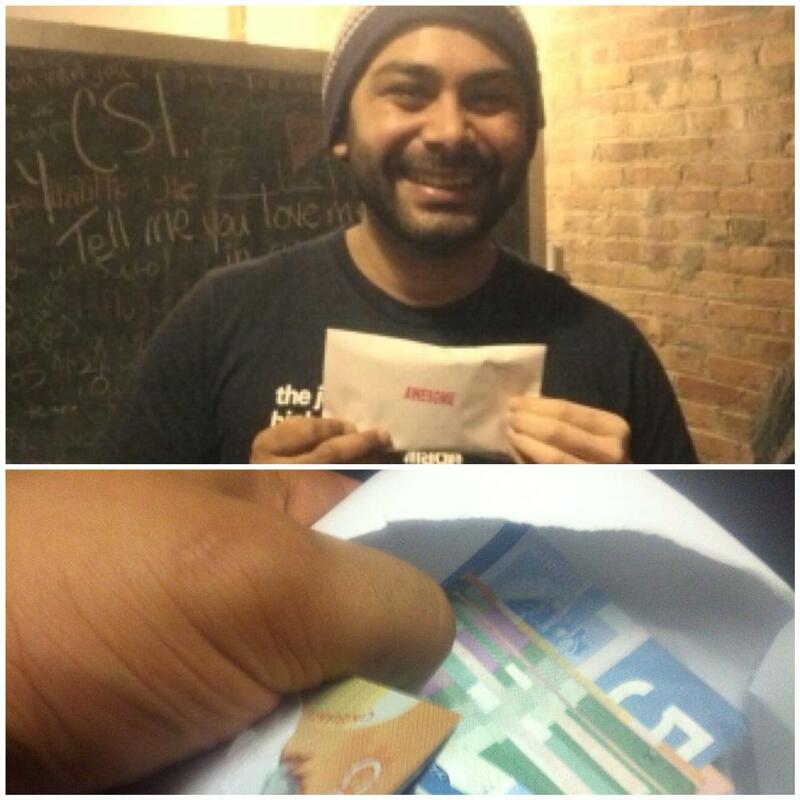 Adil Dhalla ( also known as my brother) receives $1000 from the CSI Awesome Foundation to take one of his crazy ideas to the next level. He was super happy and thanks to his Facebook post the idea starting getting legs. Adil is joined by his two comrades Leah Pollock and Amanda Penrice to bring the idea to life and the planning begins. 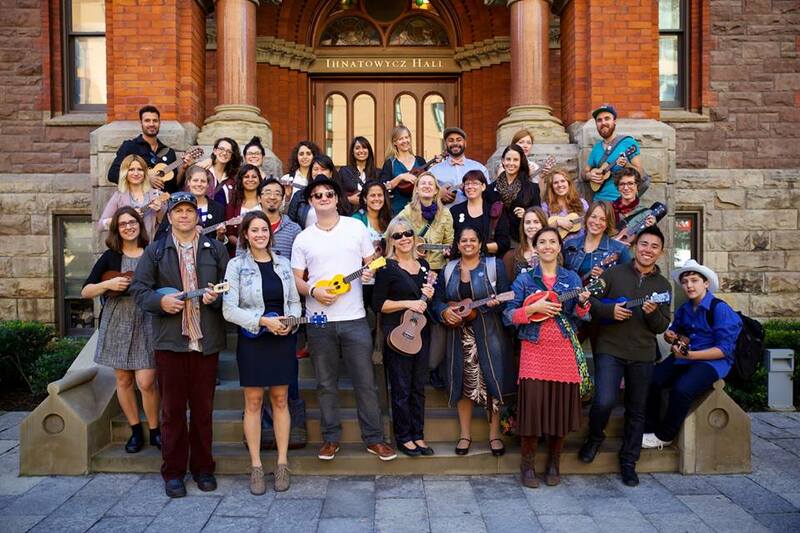 Somewhere in this time CSI staff member Barnabe Geis suggested the name Ukelele Gangsterism and it stuck. Leah and Adil release the first cut of “Have an Awesome Day” on Youtube. Around this time the first official piece of press is launched which was shared in many, many other news sites including City TV. Things get real serious; a Facebook page is created. This also happens to be the same day that the $1000 was spent on a ton of new ukuleles purchased for the list of growing gangsters. Project Ukulele Gangsterism (PUG) is inspired by the Emersonian idea that while some pursue happiness, others create it. This project is for the creators – but is also for the collaborators, the courageous and the nonconformists – who share the belief that our lives are made richer when we engage with strangers and take the time to meaningfully connect with people who cross our paths in everyday life. In the spirit of Awesome, our plan is bold and unprecedented. It is a hack on the unhappy and specifically, the daily commute. Why the commute? Simply put, it’s increasingly a miserable activity, full of long faces and disconnected people. Let’s challenge that convention. Let’s break some rules. And let’s attempt to create a ripple effect of awesome. 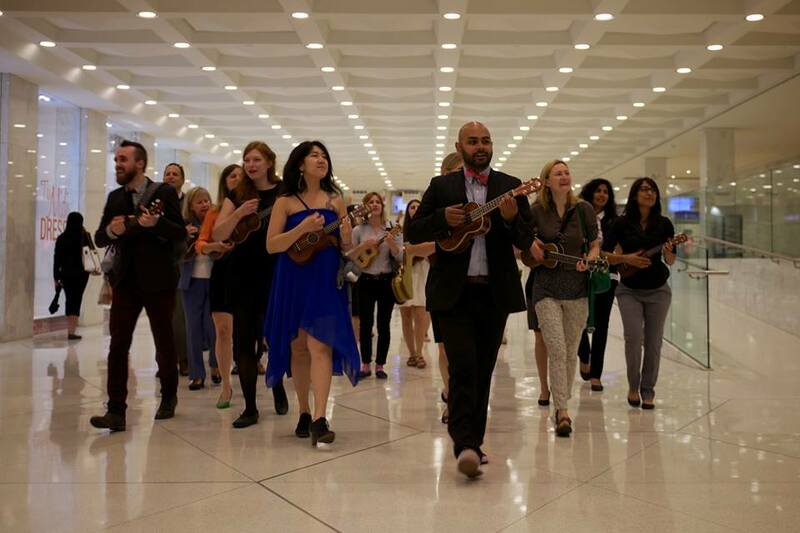 We’ll film the whole thing to, so that the story of the crazy innovators and their ukuleles will scale far and wide. The gang started forming at the first PUG rehearsal. 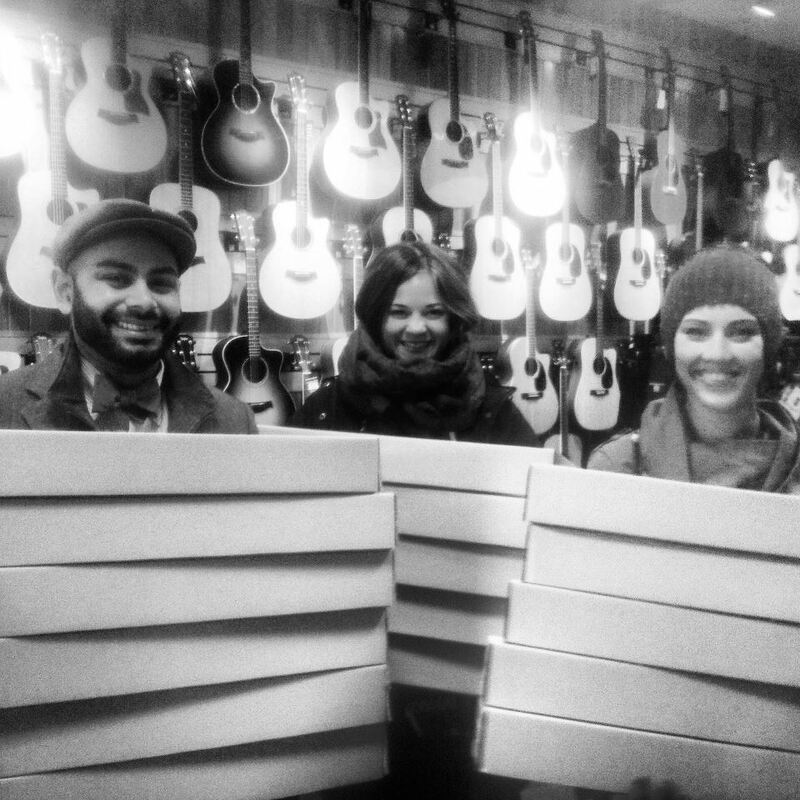 The first gig happens with a handful of pugsters on set at Ryerson. The second unofficial performance happens with a small group at Pechakucha Toronto. The day is here! The 30+ gangsters united and hacked the Toronto subway system. You can see the whole day captured in this video. And the press rolls in from BlogTO, Torontoist, Grist, Yahoo Canada, The Grid, Trending City and more in the following days. Overwhelmed by the response from the community and interest by others to participate, PUG announces that it is going from a one-time hack to a two-time hack. Leah and Adil create a Youtube video on how to be a gangster for the individuals who expressed interest in getting involved outside of Toronto. 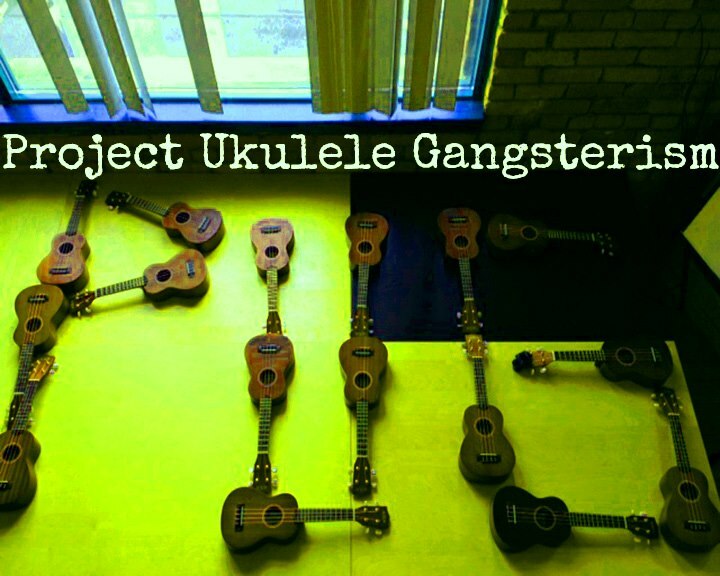 This uke group in Lansing, Michigan gave the song a try, as did these grade 6 student singing their own version over the PA system at school and we saw this piano version from a gangster himself. Practice starts for PUG hack #2. We have people from all over the city join who caught wind of PUG in the media and from friends. The second, and equally as awesome, Hack the Path takes place in the Toronto underground PATH system in the early morning rush hour time. You really need to watch the video to see what happened. Just when we thought it was over, PUG announces that it’s coming back for its third and final hack. Practice starts and the location of the final hack is revealed. The biggest and baddest hack yet takes place as over 30 gangsters storm and unexpectedly crash the registration of TedxToronto. 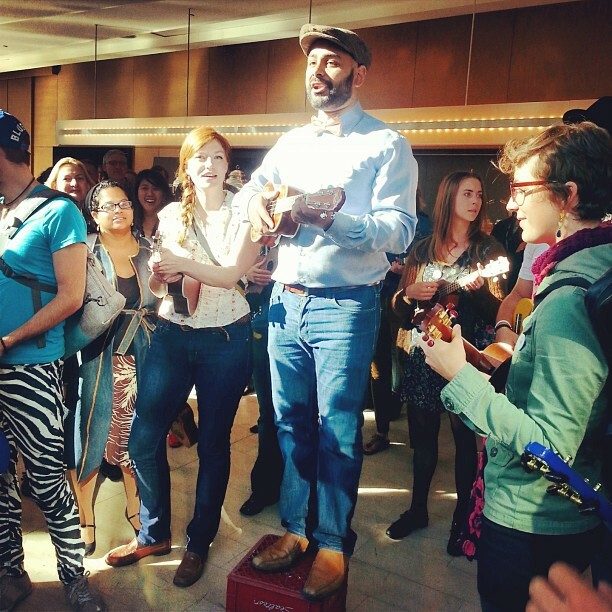 In front of thousands, we sang to attendees of the day-long conference and pulled out an actual (not metaphorical) milk box where Adil performed his own TED talk. Yes, this was unknown to all TED presenters, attendees and event organizers. There you have. The story of PUG. I started this blog post thinking I wanted to write about how awesome it has been to be apart of the story and to do so I started laying out the facts and looking at the PUG-olution. That’s when I realized that the events spoke for itself. In a span of just 6 months an idea went from birth to inspiring thousand to it’s own movement. I was at 2 out of the 3 PUG hacks and I’ve got to say; regardless of how many people we have touched, I feel the most moved and happy from what we’ve done. I’m all for spreading joy but doing so when people are least expecting it or when they are at a low is an even more magical feeling. It’s actually pretty electrifying. Sure you’re going to have grumpy morning people who wonder why you’re in their way and look right past you BUT you’re going to have thousands of other who stop to watch you perform, laugh when you tell them they rock and go forth in their days smiling because of you. Not to mention the thousands more who read or see a video about it later and are reminded why they love Toronto. If every one of those people were to make just one other person smile as a direct effect of them being happier, well, you’ve left your mark on an entire city. Thank you to our pugstastic leaders (Adil, Amanada, Leah), thank you gangsters for joining from all parts of Toronto, thank you people of Toronto for letting us into your morning commute and have an awesome day everyone. I would have loved to have been able to read the rest of this story. Unfortunately was unable to find the link to open the post. I live outside of the city. Ha Ha, joke is on me. as soon as I posted last comment it popped up. Glad you were able to access it. 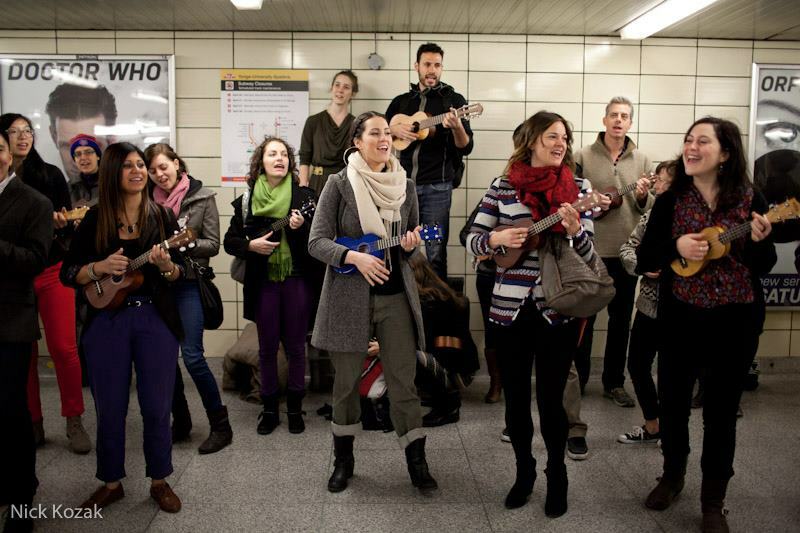 Do you live outside Toronto and or play the Uke? Thanks, Yes I live in Bowmanville and am just learning to play the Uke. Starting a little bit late in life. as I am in my 50’s. Having never so much as held a musical instrument I have found it to be a bit of a challenge. doing it on my own with the help of the internet, YouTube and some Ukulele tutorials.